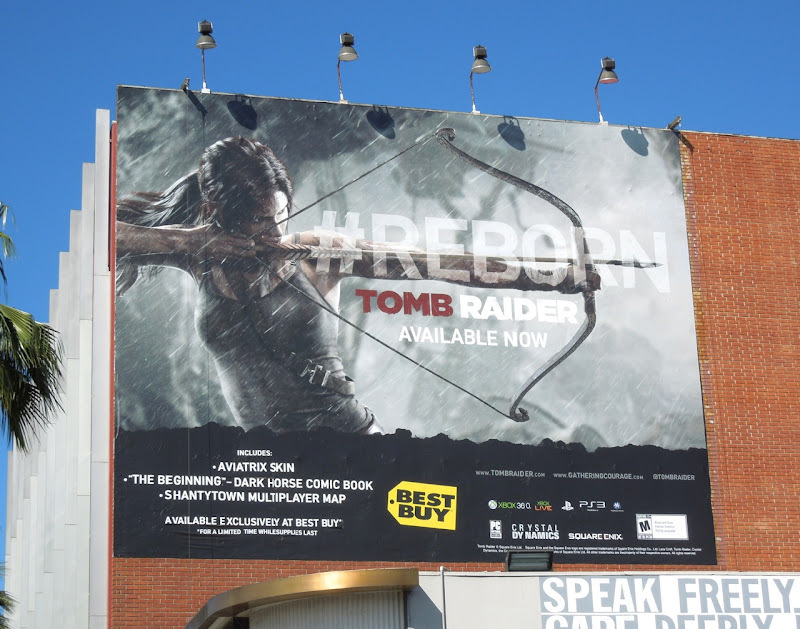 Lara Croft is back and following in the footsteps of Katniss from The Hunger Games and Merida from Brave, she has a bow and from the looks of things she's not afraid to use it. 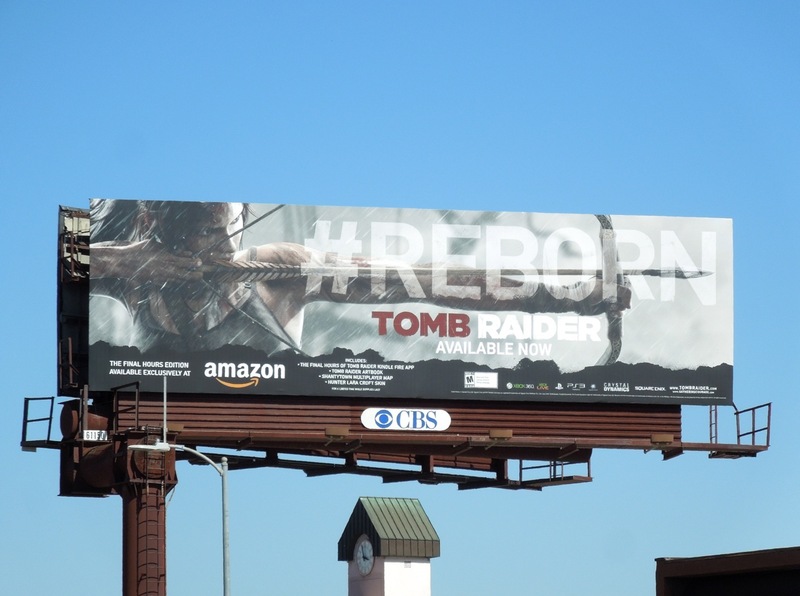 This Tomb Raider isn't just reborn, she's been rebooted, so that new game players can jump on board with a total new continuity from the iconic gun-toting, archaeologist-adventurer Lara Croft (with the long legs and gravity defying chest) we're all familiar with. 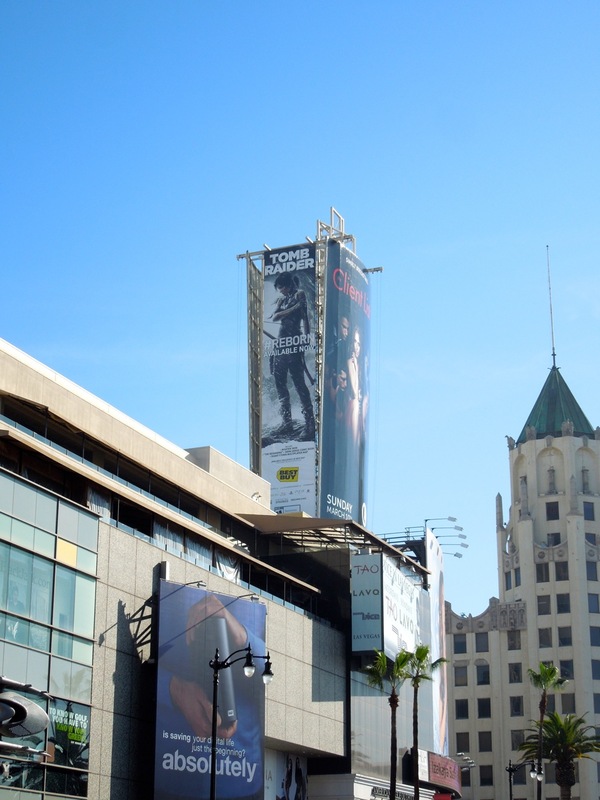 Only time will tell if this new version will please fans and gamers alike, but what is more than certain is that we'll never see Angelina Jolie reprise her role in another film spin-off of Tomb Raider in the future. 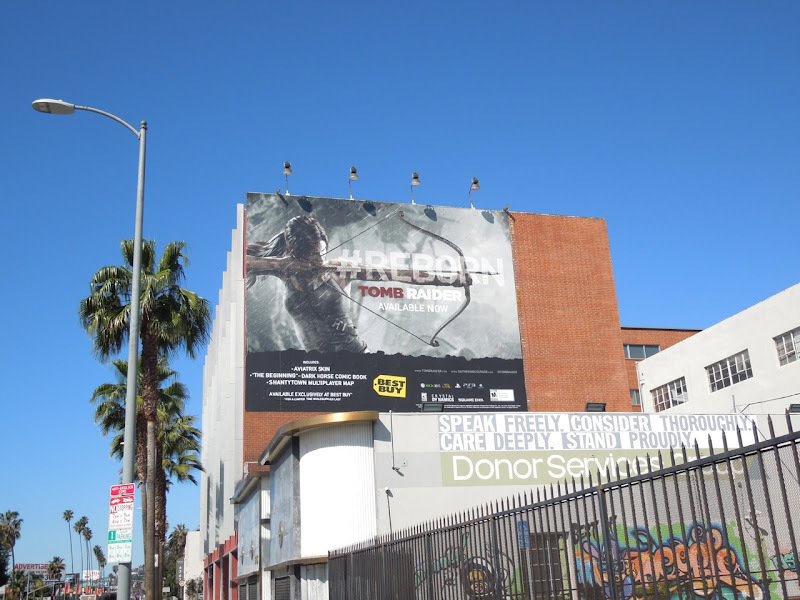 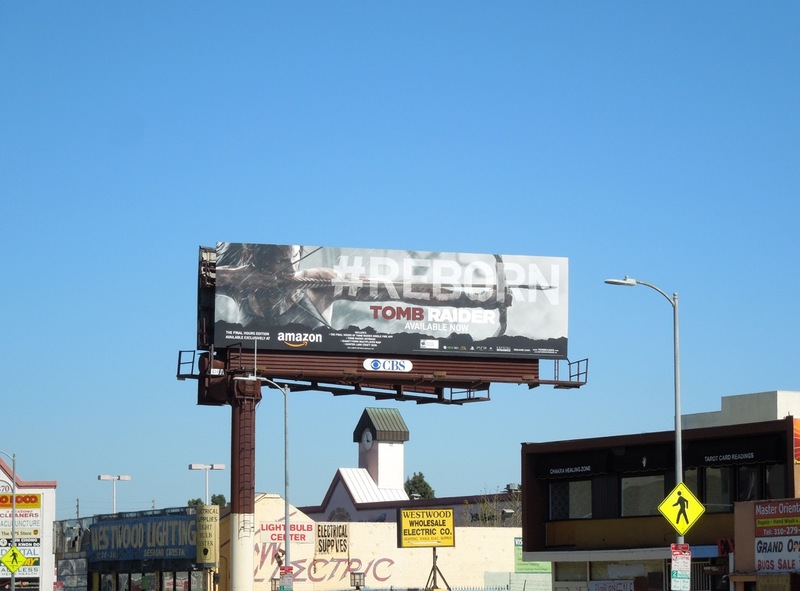 The Tomb Raider wall format billboard was snapped along Sunset Boulevard in Hollywood on March 9, 2013, whilst the standard landscape billboard was spied a day later along Santa Monica Boulevard in West L.A. 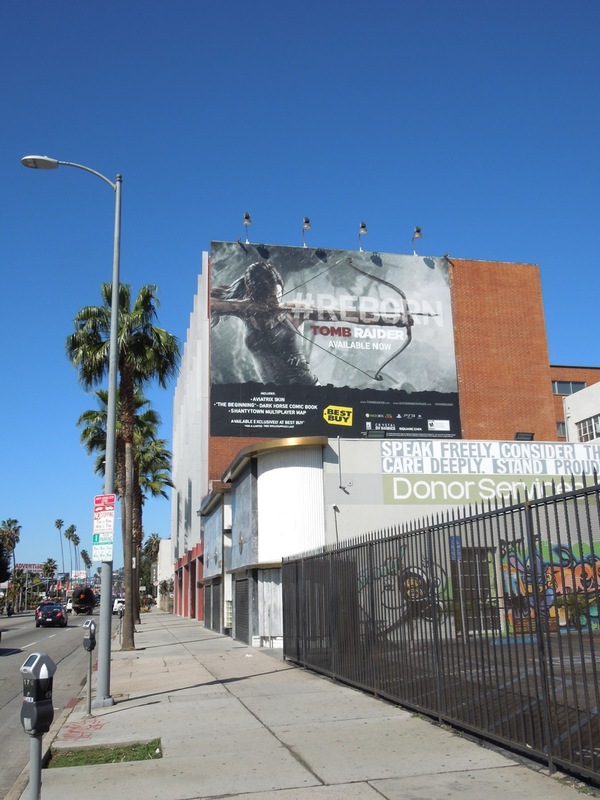 If you like these ads, be sure to check out these other cool video game billboards on offer here at Daily Billboard. 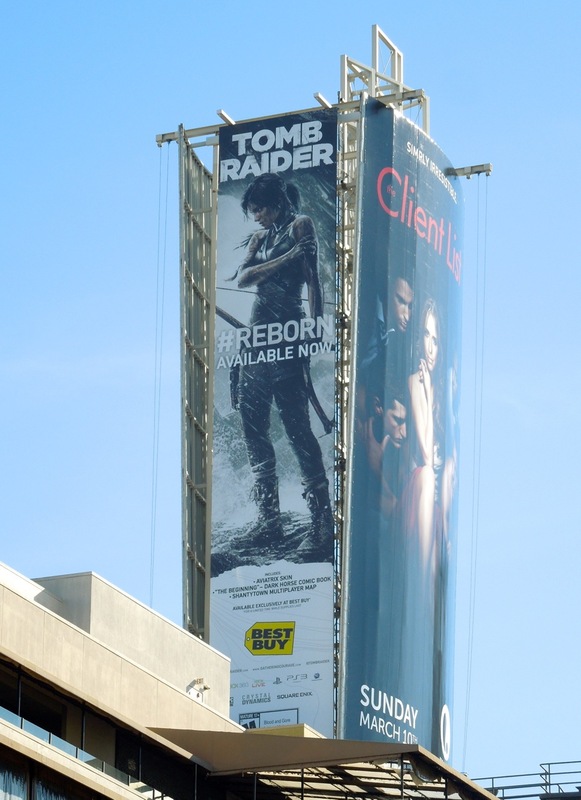 UPDATED: Here's another creative for the highly-anticipated Tomb Raider game spied keeping look out over Hollywood & Highland on March 14, 2013.